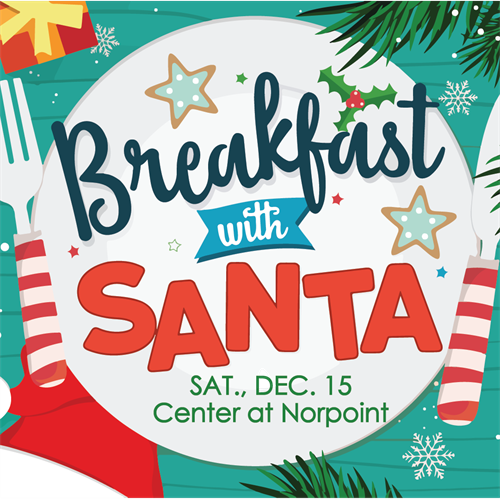 Enjoy a pancake breakfast, pictures with Santa, send letters to the North Pole, holiday crafts and fun for the whole family at the second annual Breakfast with Santa event on Saturday, December 15 at the Center at Norpoint! Space is limited. Sign up in advance to guarantee your spot.